Inspired Mother’s Day gifts from jewellers F. Hinds start within pocket money range at just £4.95, or there are lots more for those with deeper pockets. What’s most important is that she knows that you love her. 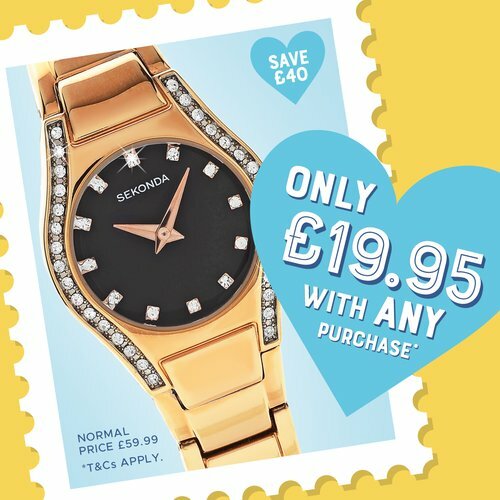 Or spread the love – get a Sekonda Aurora rose gold tone, crystal set watch for just £19.95 with any purchase, so that will be two gifts for Mum then! From 1st until 11th March 2018.